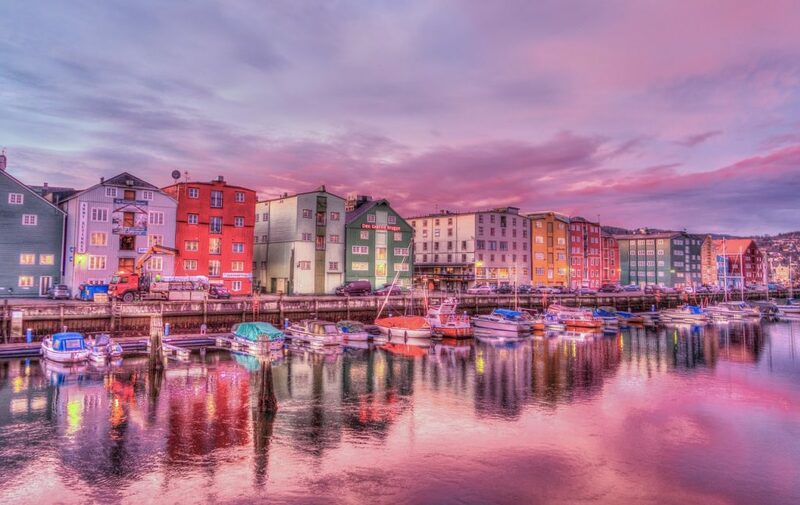 Located on the northern edges of Europe, the tiny nation of Norway is perhaps best known for its pillaging vikings and handing out the Nobel peace prize. Propped up by its domestic oil and gas industry, it has also long been considered an oasis of financial and social stability. With a GDP of $61.576 per capita, it ranks an impressive fourth among the OECD member block. Despite high growth and low unemployment, some experts have begun to question the overall health of the nation’s economy. Of particular concern is the burgeoning liabilities related to non collateralized debt, with consumer loans and credit cards being the main culprits. Unlike many other western nations (e.g. Finland and the Netherlands), Norway does not prohibit usury lending. Instead, regulators have chosen a more laissez-faire approach in its dealings with the banking sector. The majority of lenders refrain from charging APRs in excess of 40 percent, but there are notable exceptions. A few microfinancing companies still charge annual rates of more than 2.000 percent. Lenders are free to dictate their own rate policies as long as they abide by certain restrictions. One such rule prohibits banks from issuing new credit, if as a result the borrower’s debt ratio exceeds 5 times annual net income. Debtors must also be able to handle a hypothetical key rate increase of 5 percent. Despite these measures the total debt burden has continued to swell. Now, some regulators are calling for tougher measures in order to halt what they fear could morph into a system risk to Norway’s financial sector. By the end of 2017, non collateralized debt held by Norwegians totaled more than 106 billion kroners, or what equals roughly 12,7 billion USD. It represents an increase of 13,2 percent from the previous year. These numbers are in turn slightly down from 2015 when unsecured debt grew by 15,2 percent. With its 5,3 million inhabitants, Norway has a population which roughly equals that of Minnesota. Among these individuals, 78% percent are above the age of 18. It indicates that every adult on average owes more than 3 000 USD through either consumer loans, credit cards or product financing. Innovation within the banking sector has served as a driving force behind the accumulation of unsecured debt. Most consumers use a solution called “bankID”, which serves as a form of 2-factor authentication. It allows the holder to sign legal notes, including loan agreements. Although it has removed red tape and bottlenecks on efficiency, it has inversely made it easier to apply for credit. Consumer loan applications can now be signed online within 5 minutes, with the principal often being paid out on the very same day. In the wake of these technological changes, specialized banks have sprung up online, offering consumer loans and other types of more traditional credit. Meanwhile, more companies have leapfrogged into the industry trying to grab a piece of the burgeoning profits. It includes companies such as the loan portal forbrukslån.no, which writes in-depth reviews on a multitude of credit offers, similar to Nerdwallet. The public debate on unsecured debt reached a fever pitch this summer when the governing coalition led by Prime Minister Erna Solberg voiced its willingness to revise the regulations. Shortly after the treasury department began issuing new directives on marketing practices, capital requirements and downpayment times. The latter was restricted from 15 to 5 years, with an exemption made for loans aimed at refinancing. Yet, banks fear that the government will impose a cap on interest rates. If so, it could bring the industry to its knees and lead to an exodus of lenders from the Norwegian market. In order to stymie criticism, lenders have taken a more proactive approach. It includes cooperating with the government on key initiatives, and throwing their support behind tougher regulations. One example is the creation of a new debt registry, in which non collateralized debt is registered immediately upon issuance. Information about unsecured loans can now be retrieved by banks on request, given they have permission from the loan applicant. However, it remains to see whether these initiatives will have the desired effect.